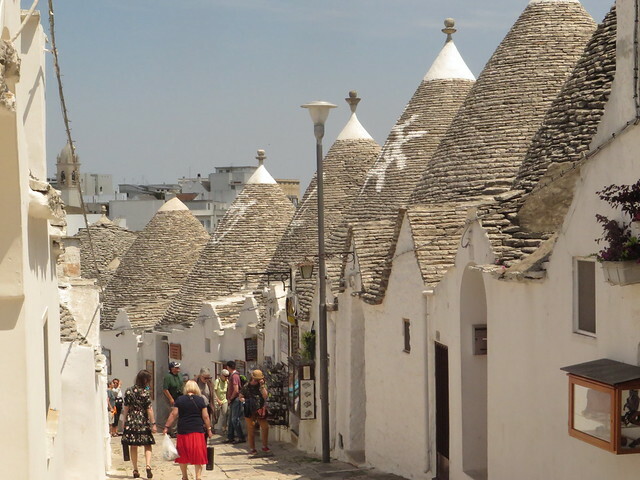 Alberobello and its Trulli houses are an UNESCO World Heritage Site. These small houses (about 1500 in total) have been built by the locals beginning with the XIV century onward and although most of them are now artisan shops and B&Bs, there still are some locals living in these small and lovely houses. 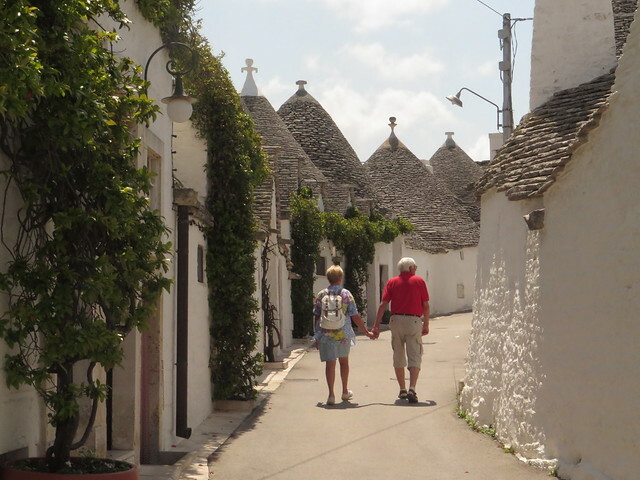 The Trulli (plural from Trullo) houses are built with local limestone and they are round shaped with a conical roof. 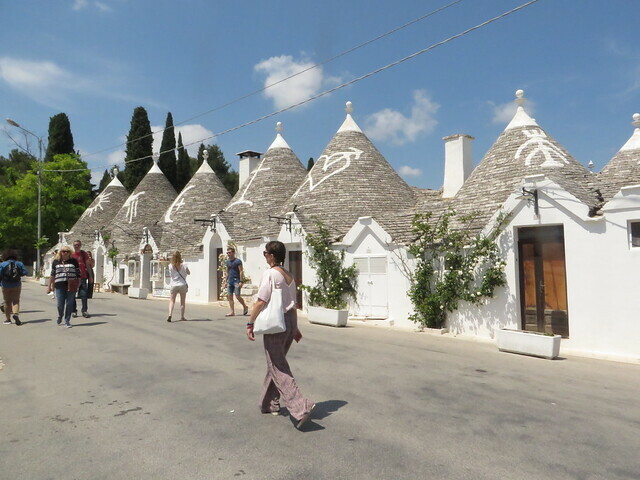 Trulli generally were constructed as temporary storehouses or, as permanent dwellings by small proprietors or agricultural laborers. 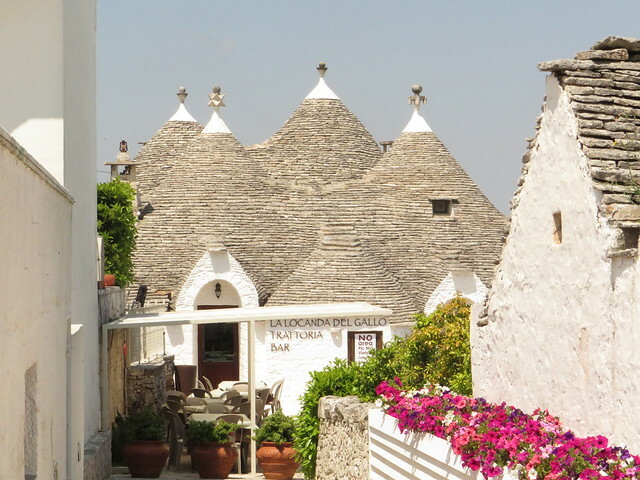 It is said that the golden age of Trulli was the nineteenth century, especially its final decades, which were marked by the development of wine growing. 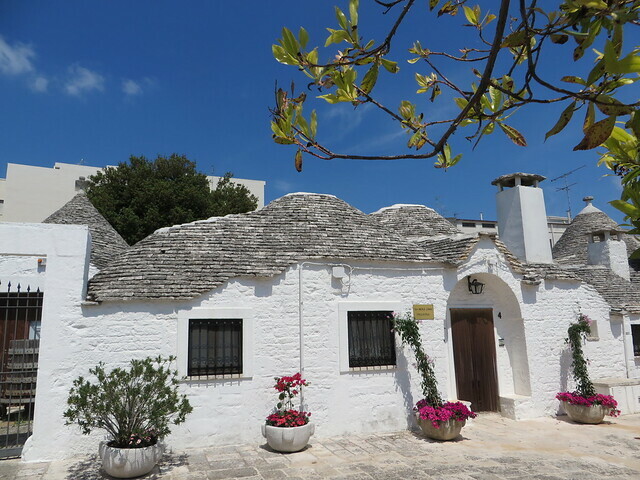 Alberobello is one of the main tourist attractions outside of Bari, when in Puglia, so expect to find tourists almost all year round going up and down on the smalls streets full of Trulli houses. Most of them just come for a one day trip, so if you want to be alone on the streets and enjoy these beautiful houses, try to be here before 11AM or after 5PM and avoid summer months.